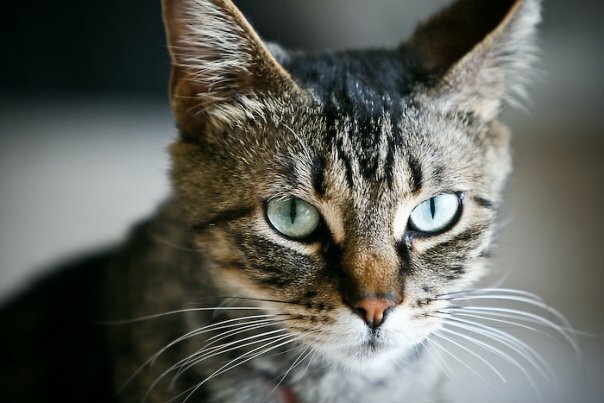 What is Diabetes in Cats? Diabetes in cats is on the rise. In Canada, an average of 8 in every 50 cats will develop diabetes. This number may be higher due to undiagnosed cases. Diabetes Mellitus or “sugar diabetes” is caused by a lack of available insulin in the body. This means the pancreas is not producing enough or body cells are failing to respond to insulin, or possibly both. In most healthy cats, food is broken down during digestion into nutrients that are used by the body. Carbs, or starches, are converted into sugars, including glucose. Glucose is absorbed into the blood and provides energy. The job of insulin is to transfer glucose from the bloodstream to the body cells – but this can only occur if enough is present. In a cat that has diabetes, the pancreas is unable to provide enough insulin for this to occur, which results in blood glucose concretions that exceed that “glucose threshold” of the kidneys. When this happens, excessive glucose is excreted in urine, which makes your cat drink and urinates more. This will also cause your cat to eat more but still lose weight. Although diabetes most typically happens to middle to old age cats, a pet that is overweight has a higher chance of becoming diabetic. Castrated male cats are the most commonly affected. The cause of feline diabetes is still unknown, but many factors are known to play a role, including genetics, weight, pancreatic disease, hormonal imbalances, and certain types of medications. The best prevention is early diagnosis and proper treatment. If you believe your cat has feline diabetes, or may have some of the risk factors, take your cat to Dewinton Pet Hospital for a thorough examination. Symptoms of diabetes can been seen in other conditions or infections, which could create issues for treatment. Getting the right care for your cat starts with a confirmed diagnosis. If the blood glucose concentration is consistently higher than the normal amount, it may indicate that your cat’s pancreas is not functioning normally. Or, it could be that your cat is simply resistant to the insulin it already produces. Either way, if either are confirmed, your cat has feline diabetes. Long-term complications of diabetes are a result of prolonged high blood glucose. The most common complication if left untreated is neuropathy, or a weakness of the hind legs. Prolonged high concentrations of glucose can cause nerve damage, which results in weakness and muscle lethargy. There is no direct treatment for neuropathy, except to keep glucose levels at optimal amounts. If left untreated, canine diabetes can result in kidney damage, recurring infections and even death. The diagnosis sounds frightening, but many cats live comfortably with diabetes. Early diagnosis and treatment is critical for preventing further complications for developing. You can successfully manage your diabetic cat’s health with insulin injections and proper diet. The majority of cats with diabetes mellitus, like humans, will need insulin injections once or twice daily. Your vet will determine the dose that’s right for your cat and teach you how to administer the injection properly. Based on blood and urine glucose levels, your vet will adjust the dose until the correct dose is established. Most cats will require injections for the rest of their lives, but many cats will not need insulin after a few months of treatment. This is known as clinical remission. This does not mean it’s cured; proper diet and lifestyle still need to be maintained. Gently mix the insulin by flipping the bottle a couple times. Fill the syringe slightly past the recommended dose. Remove any air bubbles by tapping on the syringe with your finger. Depress the plunger to the correct dose of insulin. Draw your cat’s skin gently upwards and make a small hallow with your index finger. After inserting the needle, release the skin and depress the plunger slowly. Tip: Rotate the injection site on each side of and along the spine. This will prevent fibrosis and reduced insulin absorption. A regular routine of injections is required for successful diabetes management. You might be asked to monitor your cat’s glucose levels regularly with urine and blood samples using a handheld testing device. Your vet will use your findings to make the right choice about the insulin dose your cat is getting. One of the most important things about managing diabetes is consistency. Medication and food must come at regular times, so make sure your supply of high quality food is fully stocked. Along with your strict insulin therapy, your cat will need a solid feeding schedule. A diet rich in protein and fibre, and low in carbs is your best option. Ideally, 40% of the calories should come from carbs, and less than 25% should come from fat. Chicken or lamb are highly digestible, high-quality proteins for diabetic cats, and clean drinking water should always be available. Always ask your vet before making any dietary changes. Discuss exercise for your cat with your vet. For most diabetic cats, exercise is not possible from lethargy and tired muscles. That doesn’t mean you can’t still play with your cat, but it should be done in short sessions, so you don’t have to force your cat do move if they don’t want to. If done right, you and your vet can properly maintain your pet’s diabetes and quality of life for years to come.